RUSH: Speaking of fake news, there is this story, the headline: “‘Swamp King Trump’ May Use ‘Polluter Pruitt’ to Fire ‘Citizen Mueller. '” This is a story in TheHill.com, and essentially the story is that Donald Trump is gonna fire Jeff Sessions ’cause he’s fed up with him and he’s gonna put Scott Pruitt from the EPA into the attorney general position. That’s the story. That’s an actual news story. Well, it’s not a news story. It’s an op-ed. I take it back. It’s an op-ed by Brent Budowsky. “Since President Trump revels in the use of nicknames, it is time to warn the nation that it now appears the president, who should be nicknamed ‘Swamp King Trump,’ has floated Scott Pruitt, who should be nicknamed ‘Polluter Pruitt,’ to replace the attorney general that Trump nicknamed ‘Mr. Magoo’ — Jeff Sessions. Many of his denials have proven false? Most news stories today don’t even have any fact in ’em. Most news stories are just opinion guided by leak with no actual reporting followed by anonymous sources. Trump is ticked off. Trump is denying that he’s considering replacing Sessions with Pruitt, and he tweeted: “Do you believe that the Fake News Media is pushing hard on a story that I am going to replace A.G. Jeff Sessions with EPA Chief Scott Pruitt, who is doing a great job but is TOTALLY under siege? Do people really believe this stuff? So much of the media is dishonest and corrupt!” The president tweeted. Minutes before the president’s tweet CNN aired a report saying President Trump has privately discussed the cabinet switched as recently as this week even as Pruitt is facing a mounting ethics scrutiny. Mounting ethics scrutiny? Who in the Trump administration is not under scrutiny? RUSH: Dow Jones Industrial Average, minus — you know, I tell you, everybody’s doing everything they can to take this Trump talk on tariffs and talk down the economy. RUSH: Every day, every day Donald Trump gets up and has to do battle with people who will practically do anything to destroy his presidency, including take action that will do damage to the good things that are happening wherever they are, in the economy or elsewhere. 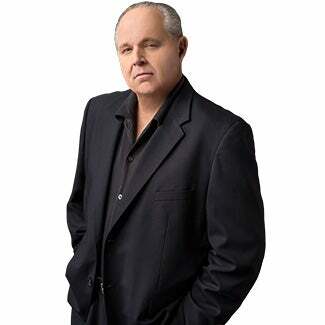 RUSH: Open Line Friday, Paula in Cincinnati, you’re next, great to have you here. Hi. CALLER: Hello. Thank you so much for squeezing me in here. I appreciate it. RUSH: No, no. Go ahead. Go ahead. I could tell that woman already knew what she thought about something, and I wanted to find out what it was, and if I told her what I thought it might change her mind and so I’d never know, so that was why. I’d be glad to answer your question. What is it? CALLER: So mine is with regards to Mr. Sessions and President Trump. So you have to wonder why isn’t more being done to kind of force the hands of those that have — you know, and I guess they missed another deadline of turning over documents and the recusal of himself, and, you know, all of that stuff. But in observing what President Trump has done thus far, if you’re not doing the job he thinks should be done, he’s not going to keep you around just to be a nice guy. He has a job to do, and he wants to see it done, and he puts people in a position who he believes or who he thinks have proven themselves to him as being capable of doing the job. RUSH: It’s very, very interesting that you mention that specifically, because, as you know, I try to absorb as much as I can on a daily basis, factual information. In the process, I run into all kinds of people with theories. And they’re everywhere now with blogs and websites being ubiquitous. You can find somebody who thinks anything. And it makes show prep actually harder because there’s a lot of people out there writing a lot of stuff that sounds very seductive that’s simply off-the-wall insane. But they write it in such a way that man, it’d be great if this is true. One of those things is pretty much what you just said. There are couple of places I’ve found — I’m not gonna mention ’em. It’s not about either excoriating them or giving them credit. But there are a couple of places that really think that all of this stated unhappiness with Sessions is simply a feint and that Sessions and Trump are working diligently building a case against as many of these deep state people as they can find, including Rosenstein, including Mueller, including Page and Strzok and that they don’t want to act prematurely, but they are amassing a bunch of evidence that Trump is fed up with this. And it’s not that he wants these people fired. It is that he wants these people to be forced to pay a legal price for the things they have done to try to disable his presidency and so forth. And some of the people positing this you would think are in a position to know if it’s going on. I happen to think it’s wishful thinking. There’s a story out there just yesterday that Trump is so fed up with Sessions that he’s gonna fire him and put Scott Pruitt in there, who is the EPA administrator because he’s the one guy that is not afraid of the media and is ripping apart the EPA. He’s getting a lot of grief for it, which Trump likes. To Trump, that’s effective. Now, Trump sent a tweet out denying it. (paraphrasing) “You media people are making this up. I’m not gonna fire this guy, not gonna fire Sessions. I never even thought of doing this.” Another story is that Trump’s acting on his own, not listening to the chief of staff, that he’s basically a lone wolf. You cannot trust anything written today about Donald Trump, particularly if it’s the first edition of something. So what we’re left to do is hope or imagine or think it’d be great if the scenario you described would happen. But I can honestly tell you I can’t tell you for certain what’s going on. I can’t tell you even if Trump is not happy with Sessions, ’cause I don’t know. Trump’s tweets would tend to indicate that he is, but you don’t know what Trump’s motivation for those tweets is. 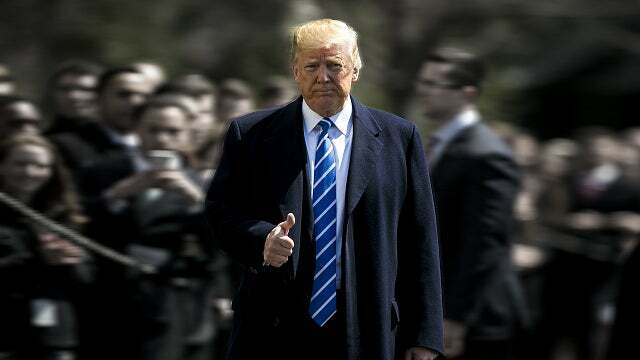 So I just sit and wait for it, I don’t try to prejudge it, create expectations that won’t happen, and I try to always settle on the idea that Trump knows exactly what he’s doing and he knows exactly who he’s up against, and he knows exactly how he’s gonna deal with it. I don’t think he’s a neophyte because he’s not an establishment guy. I think he’s pretty on par with these people. So wish I had a more definitive answer for you, but I don’t. CALLER: Well I appreciate it. RUSH: What do you hope happens? Do you want Sessions fired? You want a warrior put in there and you want these guys fired and done away with? RUSH: No, no. Jeff Sessions is not a warrior. At least not publicly. But the thing I read indicates that he is. He’s loaded for bear behind the scenes and nobody knows it and when they unload everything, it’s gonna blow up Washington. That’s the scuttlebutt, but again, don’t bank on that.